I reblogged this post from VeryWell.com because I do think this post has merit, but I’m not a fan of this way of changing what your eating. I tried to move gradually into a healthy diet but I found it didn’t work, I’d always return to my old diet. I understand that some people know they have to change what they eat, but they don’t like giving up their favorite foods. On Friday nights I would always have pizza out with a couple beers and I enjoyed that. I enjoy the food and the meal with my friends. I don’t like giving that up, and when I think about my social life, most of it is about eating out with my friends and meals with my extended family. How do I give that up? If you eat healthy 90% of the time, you don’t have to give up your social life. I eased into my new food plan over several months. But you do understand the longer it takes you do completely make the change the slower the results of eating healthy will affect change on your body. So if 4 days a week you eat healthy and 3 days a week you’re basically don’t eat healthy, you’re not going to see much results. The way I was dealing with the social life was pretty simple. I’d eat before I left the house. That way I only had one beer and one slice of pizza. You can always order Club Soda from the bar. 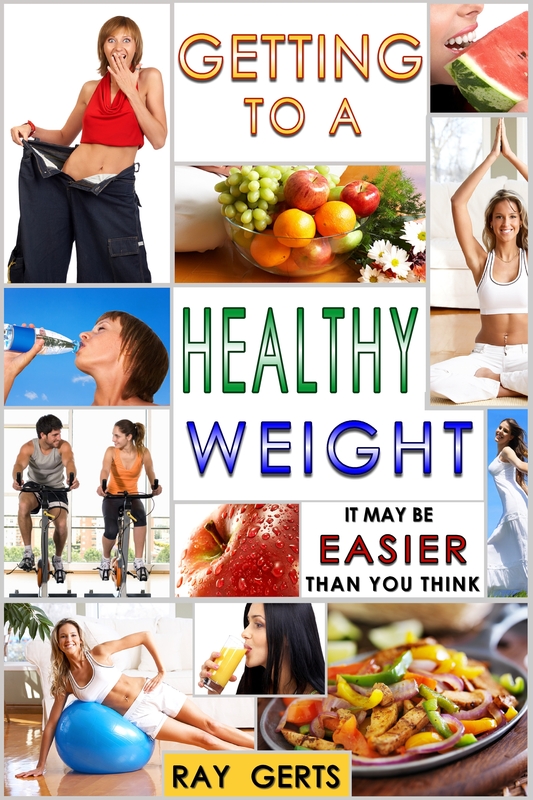 You’ll form new healthier habits and hopefully improve your health. But be patient — it takes time and practice. Don’t get down on yourself if you slip-up — just make good choices starting with your next meal. Eating healthy foods doesn’t need to be complicated — here’s how to follow a simple, healthy diet. Here are some simple first steps you can take to change your diet. You don’t need to do all them at once. Pick one or two this week and add another one or two the next week. Continue until you’re comfortable with your new diet. Hard-boil some eggs, or make a healthy batch of cupcake-sized bran muffins. This is good even when you’re in a hurry — you can grab an egg and a muffin before you go to work — and you won’t be tempted to eat the giant sized bagels or pastries at the coffee shop. I like a protein shake for breakfast. You can’t skip meals, that never works. I always make something with 20 grams of protein in the morning and take it to go. Make a shake with protein powder and almond milk, if you want to make it thicker, add some plain Greek yogurt, takes 5 minutes and your out the door. Do you go out for lunch every day? Cut back on high-calorie restaurant food and pack your lunch a couple of days each week. Start with a healthy sandwich. Choose whole grain bread, lean low-sodium meat or poultry, and lots of tomatoes, onions, lettuce, avocado or other sandwich vegetables. Go light on the mayonnaise or use a low-fat mayonnaise. Buy a small insulated container for a cup of vegetable soup and add a piece of fresh fruit for dessert. If you must eat at a fast food restaurant, buy a salad for your meal or, at least, purchase a salad instead of french fries. Don’t use salad dressing, use straight vinegar or lemon juice. Bring your own if you have to. Here’s an easy way to plan a balanced meal. Mentally divide your plate into four quadrants. Half of your plate should be covered with green or colorful vegetables and fruit. One-quarter of your plate can be home to your protein source (chicken, meat, eggs, fish and seafood or a vegetarian dish). Finally, you can use that last quarter of your plate for something starchy like potatoes, pasta or rice. Buy prewashed and prepackaged salad ingredients so that you can make salads quickly and easily. Salads are an easy way to add vegetables to your diet, and they take up space in your stomach so that you can feel satisfied with a smaller entrée. Get more omega-3 essential fatty acids by eating fish at least three times per week. If you don’t want to eat fish, nibble on some walnuts or pumpkin seeds. Soy, canola oil, and flax seeds are also good. You can drizzle the oil on sandwiches, vegetables or salads. Instead of having a big bowl of ice cream for dessert, choose a cup of plain Greek yogurt. It’s an excellent source of protein and calcium. Add nuts and berries or sliced fruit and some honey. I LOVE Junk food. I need to read this wonderful post. Thanks for leaving a comment. I like the part about looking in the mirror, that’s is so true. I understand ur love for fast food. I base my opinion on nutrition.